Motorola today introduced the new MC55, a highly durable, yet small smartphone, which has the ability to survive a 1.2 m (4 ft) drop to concrete. 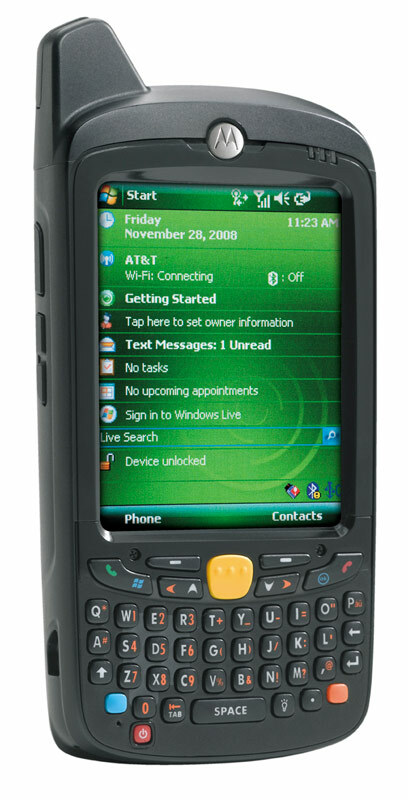 Running on Microsoft Windows Mobile 6.1, the Motorola MC55 features an Intel XScale PXA270 520 MHz processor, 128MB SDRAM, 256MB Flash, a large 3.5 inch (320x240 pixel) touch screen, a 2 megapixel camera with autofocus and flash with decode capability and 1D/2D bar code scanners. Other features include Wi-Fi, Bluetooth, quad-band GSM/EDGE, VoIP and PTT. 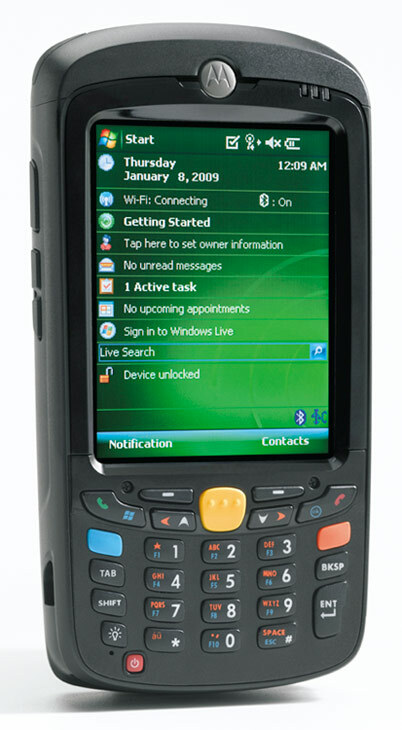 The MC5574 version has full QWERTY keyboard and an antenna and the MC5590 version will have the standard 12 keys without the antenna. The MC5574 is available in the US starting today for an undisclosed price and will be globally launched in the second quarter of 2009.